North American grain and oilseed markets are also keeping an eye on seeding weather as attention turns to the 2019-20 crop. ICE Futures canola contracts held reasonably steady during the week ended April 5, hovering above major long-term lows as traders contemplated the lack of Chinese demand and what the trade dispute means going forward. The bearish influence of China shuttering its doors to Canadian canola has been generally factored into the market, with lows possibly in for the time being. The nearby May contract tested the $450-per-tonne mark on a number of occasions over the past month, but always found support at that level and settled at $457.50 per tonne on Friday, April 5. In addition to chart-based speculative positioning, domestic crushers continue to show solid demand while farmer sales have backed off at the lows. However, canola remains vulnerable to the downside if Chicago Board of Trade soybeans weaken and the selling spills into the Canadian oilseed. Trade negotiations between the United States and China were looking slightly more optimistic than Canada’s current situation, although China/U.S. trade talks remain more talk than action. A concrete deal between those two countries could give soybeans a boost, although just how many more soybeans the U.S. can sell to China this year remains to be seen. The South American harvest continues to move forward, with newly harvested Brazilian supplies moving into export channels. Meanwhile, the African swine fever outbreak in China has bitten into the country’s demand for livestock feed in general, including both corn and soymeal. 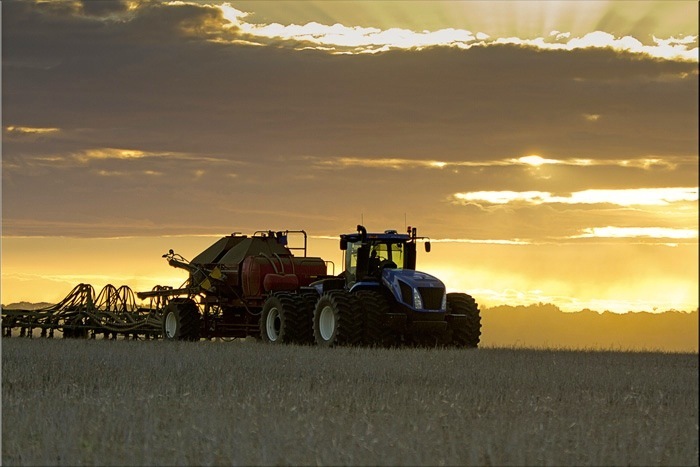 Beyond trade issues, North American grain and oilseed markets are also keeping an eye on seeding weather as attention turns to the 2019-20 crop. Flooding and excessive moisture across parts of the U.S. Midwest have led to ideas that some intended corn acres will go into soybeans instead, which would support corn prices and weigh on beans. However, the extent of any acreage shift remains to be seen. Wet weather could also limit some spring wheat acres in northern U.S. states, although Minneapolis spring wheat futures came under pressure during the week ended April 5. May spring wheat fell to contract lows on April 5, settling right above US$5.20 per bushel. Kansas City and Chicago winter wheat contracts held steady by comparison, with the spreads between the three contracts seeing some adjustment on the week. Looking at canola acres in 2019, some of the sheen is definitely off of the crop, but acreage reductions may only be minor due to rotational issues and a lack of other cropping options that stand out. Statistics Canada releases its survey-based acreage projections on April 24.